High Capacity: The ability to quickly defrost pallets. Controlled Thawing: The intelligent Klinge controller closely monitors multiple data points and then regulates the internal container temperature to closely control the entire thawing process. By doing this there is a large reduction of drip loss resulting in a higher product yield. We are also able to ensure that the product does not incur surface overheating. Unmanned Thawing: The quick thaw system is designed so that product can be loaded into the system hours before the thawing is to start. The delay timer is then set for the desired start time for the thawing to take place. The benefits of this are that you do not need to have staff load the container on off shifts but rather at a time convenient for you. Additionally, at the end of the thawing process the quick thaw unit will go into a storage mode, which will maintain the product at your desired temperature so that it does not need to be removed right away but rather at a time convenient with your production. Data Recording: The intelligent Klinge controller also comes equipped with a Data Logging feature. This feature will log the entire thawing process of the equipment and can either be viewed in a Real Time setting or downloaded and saved as historical data for inspections and verification by various Agencies as well as internal Quality Assurance Teams. 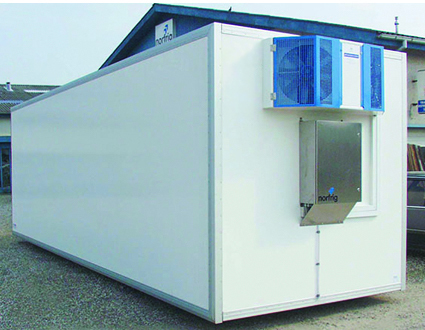 Container Version: The Container Version of our quick thaw unit offers the most versatility for placement. In addition, it can be easily transported to other facilities to help with capacity needs as well as scheduled and emergency maintenance issues. Free Standing Version: The Free Standing Version of the quick thaw unit is ideal for customers who do not have the available floor space within the factory to place a Built-In Version. Cost is reduced since construction or building changes are minimized. This model can also be moved at a later date if needed. Built-In Version Also Available: The Built-In Version of the quick thaw unit is ideal for customers who want to place their Thaw Cell next to their Production / Processing Cell. This set up will reduce the internal transport of product within the facility. » Specialized defrost systems allows for accurate and effective defrost with minimal manual operation. » Intelligent controller closely monitors and regulates internal container temperatures (within 1°C) and the thawing process as a whole, thereby reducing driploss. » Using a series of probes in and around the product, the controller determines optimal air temperature and speed to facilitate thawing and closely monitors desired core and surface temperature to ensure minimum damage to the product. » Temperature data can be easily downloaded and transmitted for food safety and quality assurance purposes. 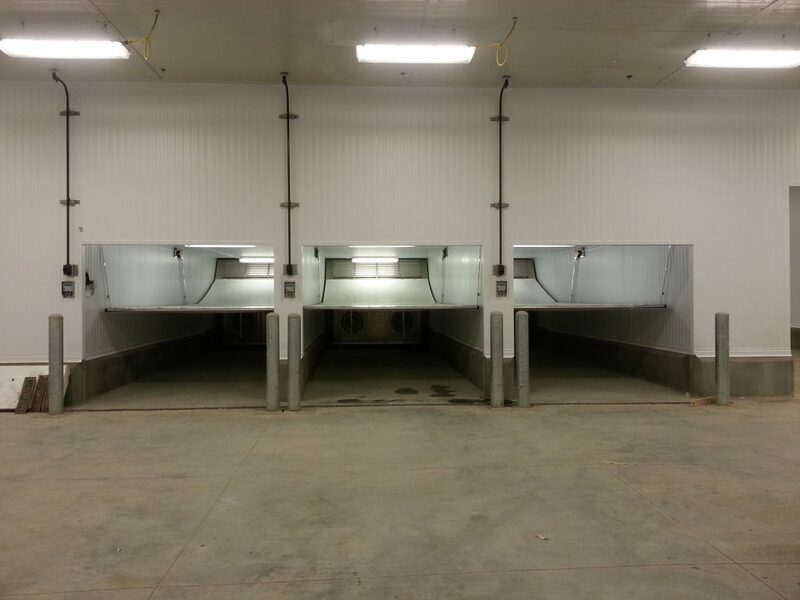 » Saves cost as the Quick Thaw Unit increases the use of frozen seafood instead of expensive fresh seafood. » Unit can be installed in insulated rooms or, if plant space is at a premium, the unit can be mounted on moveable insulated containers provided by Klinge/Morep, thereby also increasing workspace while ensuring the thawing process occurs smoothly. 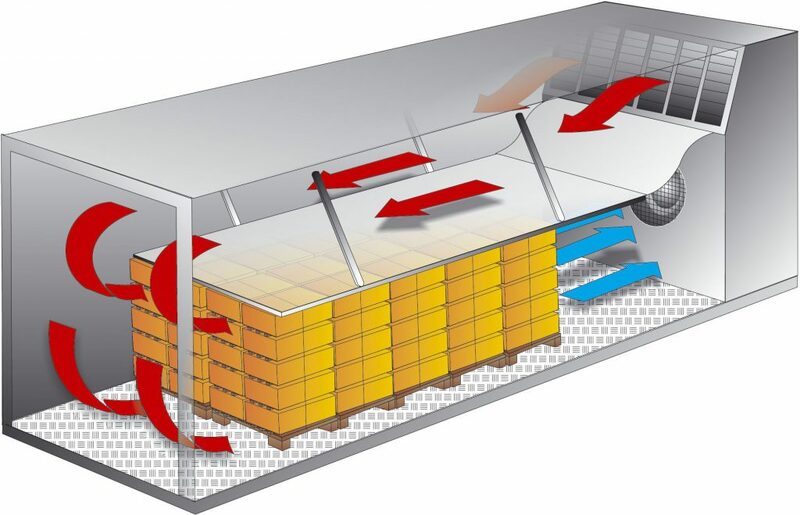 » A high unit capacity allows the Quick Thaw Unit to quickly defrost pallets.